Why Do I Like Sad Things? Hello everyone. It’s a beautiful day out today in Dallas, Texas. There are just enough clouds in the sky to keep it fairly cool, and a playful breeze is dancing through the air. It’s the kind of day that makes you glad to be alive, to live in such a wonderful world. I’m going to spend it inside, with the lights turned off, watching depressing anime. Mahou Shoujo Madoka Magica (or is it Puella Magi? Whatever.) is one of my favorite shows. It may be second only to Hunter x Hunter, I haven’t given that list much thought. There are plenty of aspects of it that are objectively good: the visuals are creative and surreal, the characters are likeable and fleshed out, and the plot is consistently interesting and surprising. The big “issue,” if you can call it that, is that Madoka Magica uses these things to make you feel bad. Hauntingly, sickeningly bad. The show is a deconstruction of the “magical girl” anime genre. Without getting into the details of what that means, the goal of the show is basically to subvert the typical tropes of the genre in order to critically analyze their significance and logic. The most significant of these tropes is that The Good Guys Always Win, and evil is banished using the magical girls’ powers. Madoka Magica flips this on its head by introducing a system where the use of magical powers actually harms the protagonists and furthers the villain’s machinations. I won’t get specific in order to avoid spoilers, but the takeaway is that the situation in which the characters find themselves gets progressively more and more hopeless in each episode. By the end things turn around a bit, but I wouldn’t think many people would use the word “happy” to describe the last episode. This elicits an emotion that is pretty rare in entertainment media: despair. This isn’t a hero’s brave sacrifice to save the day, or the tearful goodbye of a close friend. Those things are sad, but they are temporarily sad. By the end of the movie, book, comic, etc., the heroes are still triumphant and hope is kept intact. When something creates and maintains despair, it becomes a different sort of “enjoyable” that I don’t fully understand. There is no happiness to be gained from experiencing these stories, but they remain stimulating almost to the point of addiction. I know these stories make me feel bad, but I want to experience that feeling anyway. Another, slightly different example is the game Brothers: A Tale of Two Sons. Again, I won’t discuss the specifics, but simply mentioning it in this article kind of spoils the ending. Continue at your own risk. As you could guess, the final sequence of the game is sad. Shockingly so. The very mechanics of the game were engineered to make the last half hour as gut wrenchingly depressing as possible. I didn’t just shed a single, manly tear when I played through this part. I was bawling my eyes out, my whole body shaking as I guided the poor protagonist through the end of his journey. The strange thing was, as I watched the credits roll, I felt oddly satisfied. I had just been a miserable sobbing wreck for half an hour, but I didn’t regret playing the game. It was as if simply experiencing those depths of pure sadness had been enjoyable, even if by definition it should not have been. I don’t have a poignant answer for the question I’ve posed in this article’s headline. This phenomenon continues to baffle me, and it seems to suggest something significant about human nature. Do we really seek happiness, as so many claim to? Or do we simply long for the extremes of any emotion, fearing boredom above all else? 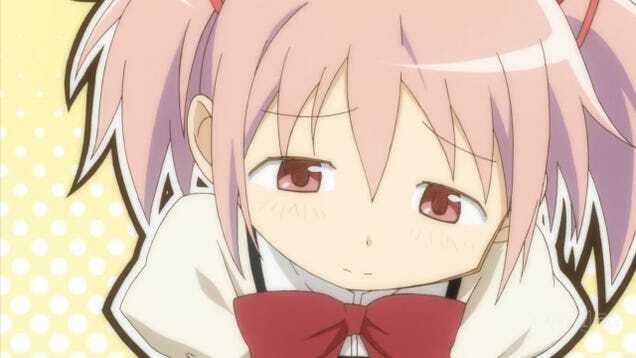 There must be something driving this desire for despair or shows like Madoka Magica wouldn’t be so popular. Let me know below how you feel about shows or games like this, and why you either enjoy them or hate them. As for me, I’m going to go get sad over a bunch of fictional Japanese schoolgirls.